Calculations about heat as a form of energy, and about work, another related form, both of them in connection with changes in the condition of all sorts of substances that may give or take heat, and perform or receive work while changing condition, constitute the subject matter of this book. This book should serve first degree engineering students with an introduction to refrigeration systems. Topics include refrigeration thermodynamics, refrigeration systems and modeling. Little to no previous knowledge of thermodynamics is assumed. Microwave heating has found many applications ranging from the microwave ovens in kitchen to heat food, to materials processing in the various fields. Microwave heating demonstrates significant advantages over conventional methods. The author has endeavoured to explain thoroughly the principles underlying the matters dealt with. The connection between heat and work has been kept prominent throughout, and the use of the various formulae given has been illustrated by examples. 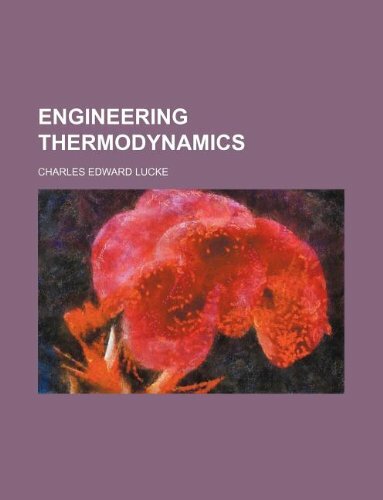 These are lecture notes on Intermediate Thermodynamics for juniors or seniors majoring in aerospace or mechanical engineering. The objective of the course is to survey both practical and theoretical problems in classical thermodynamics.